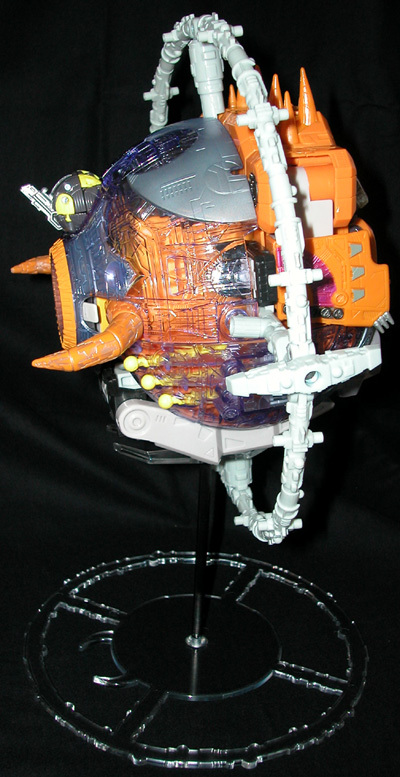 Who wants to display the mighty and menacing UNICRON in planet mode, sitting on a table, pinchers pointing straight up???? Not us! 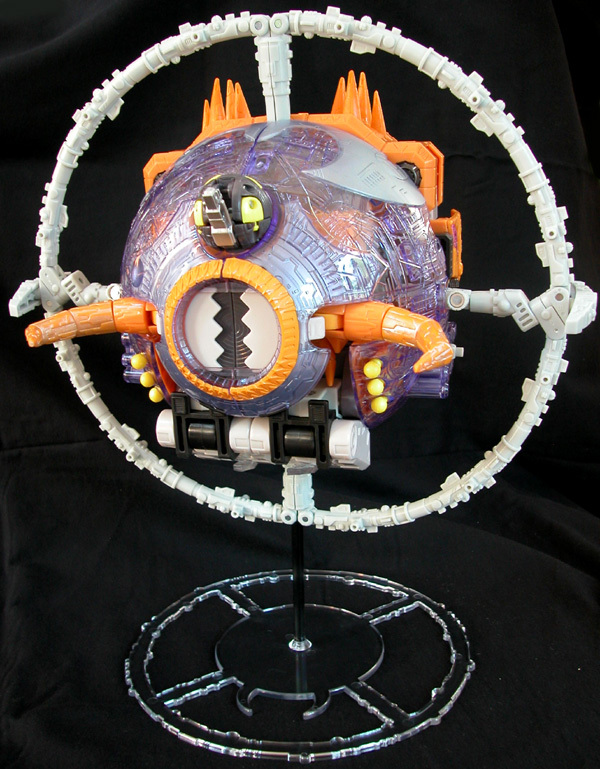 We personally designed and manufactured this figure stand to allow the Armada/Energon Unicron figure to "float" in planet mode with the correct orientation. 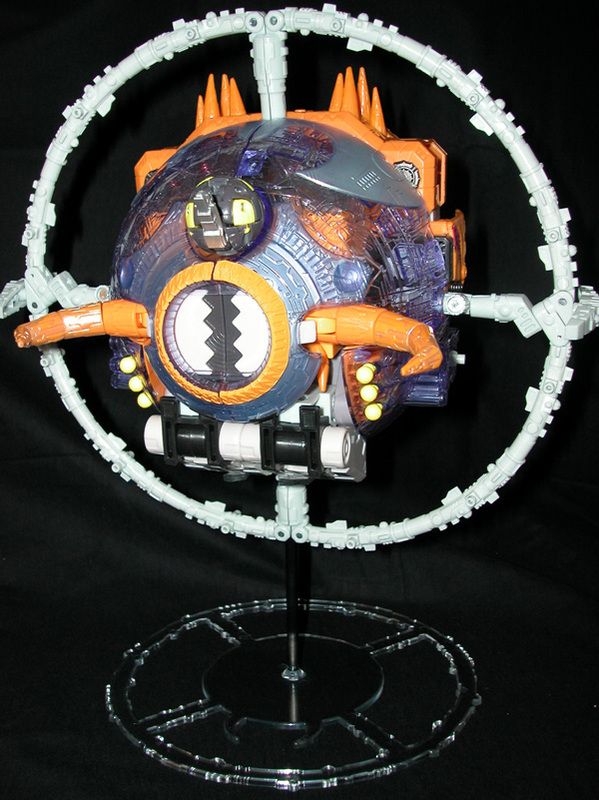 It debuted at the official Transformers Collector Convention in Chicago, 2003 and has been a big hit ever since! Are there any assembly instructions? YES!! What's included with each stand?ANSWER! 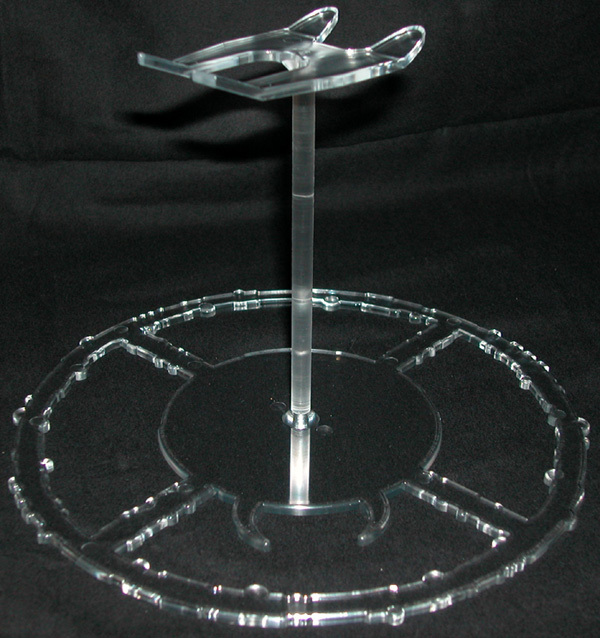 Does the stand work for any other figures?